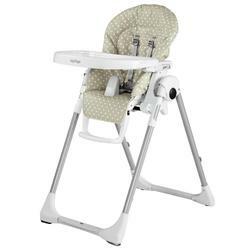 Peg Perego Prima Pappa Zero 3 high Chair - Free Shipping! The Prima Pappa Zero 3 is the latest addition to the Peg Perego family. Ultra light and yet multi-functional it grows with your child from 0 to 3 years of age. During the first months, it is a comfortable recliner. 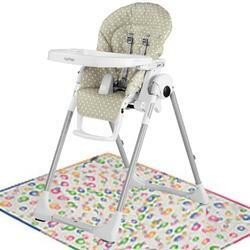 As baby grows, it can be used as a high chair for feeding and playing. PRIMA PAPPA ZERO 3. ITS WORTH MORE BECAUSE IT GIVES YOU MORE. Despite being Peg Perego entrylevel and youngest highchair, Prima Pappa Zero3 is able to offer all the functions and qualities of its older brothers. Ultralight and multifunctional, it growths with your child from 0 to 3 years of age: during the first few months of life it can be used as a comfortable, relaxing reclined cradle, as from 6 months as a highchair for eating and playing, and later on, without the tray, to eat at the table with the grownups. Typeapproved for children from birth.